Dr. Daniel Cherñavvsky is an Assistant Professor of Research at the UVA Center for Diabetes Technology, a multidisciplinary group of academic researchers with specialties in Endocrinology, Behavioral Medicine, Systems Engineering, Mathematics and Statistics, working collaboratively for the advancement of technology for the treatment of Type 1 and Type 2 Diabetes Mellitus. 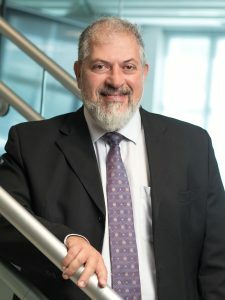 Additionally, as part of the International Artificial Pancreas (iAP) Study Group, he works collaboratively with prominent investigators from Italy, France, and in USA California and Colorado among other sites, with the aim to bring artificial pancreas technology to home. He participated on the team that conducted the first-ever outpatient clinical study of a cell phone-based artificial pancreas system, presented at the 2011 Diabetes Technology Society and he have personally performed several US outpatients-based trials with the AP system. His grant support includes studying adolescents with type 1 DM on the context of omission of insulin dose for carbohydrate intake. He also had a grant from the Helmsley Charitable Trust to study the use of Artificial pancreas technology in a summer camp setting for children and adolescents with T1D. Additionally, he has funding as a co-investigator from the NIH and JDRF Artificial Pancreas Project. He is a pediatric nephrologist and graduated from the University of Buenos Aires. In the USA he has conducted and designed basic and clinical research projects for more than 18 years. He has numerous publications in both basic and clinical research. He is one of the research investigators in charge of running the artificial pancreas studies at the University of Virginia. His research specialty is clinical evaluation of artificial pancreas in pediatric population.